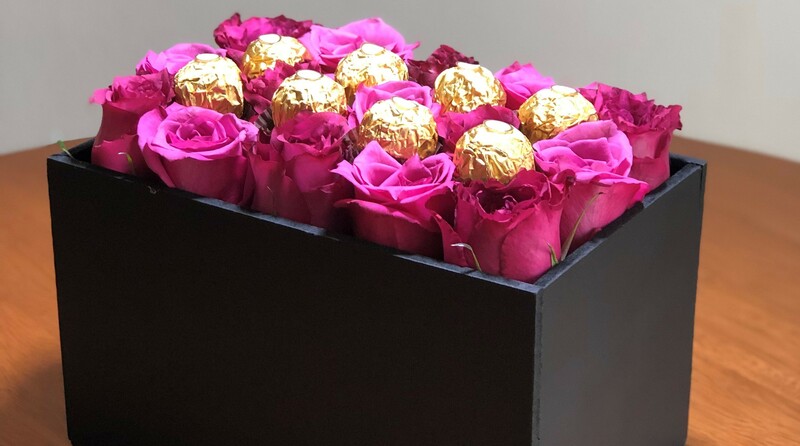 A beautiful and special floral arrangement delivered in-suite; designed and elaborated with a spectrum of multi-coloured Imperial roses, from the richest burgundies to fuschias and accompanied with a box of a classic favourite: Ferrero Rocher chocolates. An ideal gift for any occasion and for anyone special in your life. 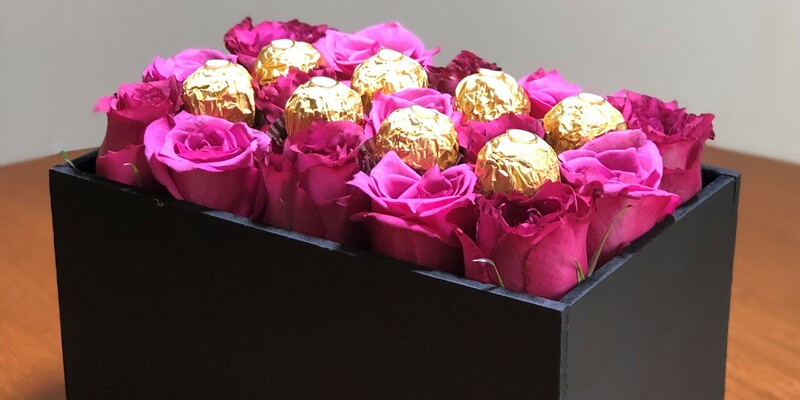 Box of roses with classic Ferrero Rocher chocolates. Floral arrangement presented in a wooden box. Multi-coloured arrangement of roses in varying shades of oranges, fuschia and red. Reserve your arrangement with a minimum of 48 hours in advance. In case of changes or modifications to the gift or date in which it will be sent, please contact us with a minimum of 24 hours in advance. Cancellations must be made prior to 72 hours before the designated date to qualify for a reimbursement. Floral arrangements are subject to availability. Colours of arrangements are seasonal. Colour of presentation box may be subject to change depending on availability.